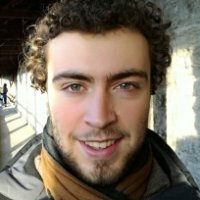 I'm currently a security engineer at Hacknowledge, a Swiss managed detection and response company (tldr; we help our customers detect and respond to threats). You will find below some pointers to posts and software I have written in the past. Feel free to drop me an email at christoantispam, see http://www.grall.name/posts/1/antiSpam-emailAddressObfuscation.html for interesting statsphe@tafanihttps://www.youtube.com/watch?v=dQw4w9WgXcQ-dereeper.me or to tweet @christophetd. Presentations given at security conferences. Technical books I particularly enjoyed reading and learning from. Quotes I find inspiring. Taken from a book, a movie, a reddit post, a blog post, or an overheard conversation.